Lease. - A lease is for the use of land, usually for a few years or shorter period. The lessor is more generally known as the landlord, and the lessee as the tenant. The lease may be oral, though the better way is to put the agreement in writing. If it be for a house or other building the lessee should insist on this, otherwise he would fare much worse should the building be destroyed by fire. Doubtless many do not know that, unless the lessee makes a specific agreement relieving himself, he is liable for the rent of a building, just the same if it is burned down as if he were still the occupier. This is the common law, which has been changed in some states by statute. If the lease is for more than a year, or other short period, the Statute of Frauds, so called, requires that it must be in writing. If the time be less, a verbal lease may be made, even though the lessee does not take immediate possession of the premises. If on the other hand, it exceeds the statutory period, it is not absolutely void, but continues during the joint wills of both parties, and may therefore cease at the will of either party. If the landlord wishes to terminate it, he must give the tenant notice to quit; should he disregard the law and take immediate possession he would be a trespasser. When the terms of a lease are in doubt, they are construed in favor of the tenant. A lease to a specified day continues during the whole of it, though custom or statute may prescribe a different rule. A term may also continue during the option of either of the parties to be ended on notice by the party exercising the option. The most usual agreements or covenants in a lease are on the part of the lessor for quiet enjoyment, which secures the tenant against any hindrance or disturbance of his possession and enjoyment of the premises from persons deriving their title from the landlord, or from any one else who claims to be the owner. Also against all encumbrances, in other words, that no one has any easements or other rights in the premises. The landlord also usually agrees to repair, and often to renew the lease, and the lessee to pay rent, to insure and not to assign or underlet, without the landlord's consent. The parties may of course agree to do any other lawful thing, for example, sometimes the tenant agrees to make repairs, to reside in the premises, not to engage in some kinds of business, to cultivate the land, if the lease be of a farm, in a specified way. Again though an oral lease for a term of years at a stated annual rent may not fulfill the requirement of the Statute of Frauds, the parties may conform to it and thus create a tenancy in fact from which the law will imply a leasing from year to year. If therefore the tenant with the acquiescence of the landlord continues in possession for several months after the expiration of the original term, a tenancy for another year will be created with a corresponding liability on the part of the tenant for a full year's rent. And the measure and extent of the tenant's liability would be the same, whether his continued occupancy related to the original lease, or to a subsequent one just like it, made as the first was soon to expire. The definite period for which a lease is given is called a term. If a lease is from the first day of January, it begins on the second day and lasts through the last day mentioned; in carefully drawn leases the number of days is fixed to avoid all dispute. A lease for a year with the privilege of remaining three years or longer does not mean a single period of three years, but three yearly periods as the tenant may elect. A lease may be made to take effect in the future, provided the time for taking possession is not so far away as to violate some statute to the contrary. A lease for an hundred years in some states is deemed a parting with the absolute title to lands though railroads make long leases running for ninety-nine years. If the length of the term is not definitely expressed in the lease, the time may be ascertained by other evidence. When a lease is to run for one or more years "from" a specified day, the corresponding day of the year is excluded from the term, unless a contrary custom exists. A lease to a specified day ends with its expiration. If there be a doubt on which of two days a lease terminates, the lessee may decide. More generally, leases of doubtful duration are construed in favor of the tenants. By statute in New York leases which do not specify the length of occupation, extend to the first of the following May after taking possession. A lease must describe clearly the premises, nor can a defective description be cured by outside evidence. Any language will suffice that shows the intention of the parties. The words "grant," "demise," and "to farm let," have a technical meaning, and are generally used, but other words may be and often are used. A memorandum expressing the consent of the owner that another shall have immediate possession of the premises, and shall continue to occupy them at a specified rent and for a definite term, is a sufficient lease; in general, any agreement under which one person obtains the right of enjoyment to property of another, with his consent and in subordination. A distinction exists between a lease and an agreement for a lease, which should be understood, though it sometimes is not by the parties themselves. If the agreement is a lease, it cannot be changed by other evidence, for it is a completed contract; but if it is an agreement for a lease, then it is not complete and other evidence may be produced to show what the parties intended. How can the nature of the agreement be tested? By ascertaining whether it is complete or not. Thus A wrote to B that he would take his home at a stipulated rent for two years if he would put in a furnace, with which offer B at once complied. This was a lease, for by putting in the furnace nothing more remained to be done. If he had not put in the furnace, or not before the time A was to take possession, there would have been no lease, unless A had waived his offer and taken possession. 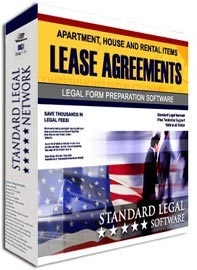 Of course to make a valid lease there must be competent parties. A lease made by a minor is not void, but he may avoid or cancel it by some positive act. Can he do this before attaining his majority? On this the authorities differ. Again appears the risk of making contracts with minors, though the situation many times seems clearly to justify such action. A guardian may lease his minor's land for the period of his minority; if leased beyond, the ward may have the lease canceled for the excess. A lease terminates on the death of the ward, whatever may be the length of the term. A parent cannot lease the land of his minor child like a guardian. By common law a lease made by a married woman was avoided after her husband's death. The modern statutes excluding her husband's power of control over her property and authorizing her to take and hold property as if she were an unmarried woman, have abolished both his power to invalidate the lease and also her power to repudiate it after his death. A private corporation may make a lease of its property provided that in doing so it acts within its charter. A municipal corporation, while it may lease property belonging thereto of a private nature, cannot lease property which has been devoted to public use. A corporation whether public or private may take a lease of property so far as this may be a proper means of carrying out the purposes for which the corporation was created. Executors and administrators may dispose of a lease belonging to the deceased, or make new leases for terms within the period covered by it. Trustees have a still larger authority to lease the lands entrusted to them, unless restricted by the terms of their trusteeship, or by statute. Though a member of a partnership, as we have seen, is an agent, he cannot make valid lease of partnership land. What may be leased? Besides land, the right to a wharf, to flow with water the land of another, to go over another's land. An ordinary boarder, who has a room and boards in the house of another and who retains the possession and care of his room, is not a tenant. On the other hand the letting of an entire floor for lodgings may create a tenancy, and so may even a single room. A lease for an unlawful purpose is void, for example, for the sale of spirituous liquors contrary to law. If the premises are occupied by the lessee and his rent is paid as specified in the lease, this is regarded as a ratification by him of an invalid or void lease. To this rule are some exceptions. A rule of construction may here be added; if a blank form is used in making a lease and the printed and written parts or agreements are inconsistent, the matters written are regarded as expressing the intention of the parties. Much might be said concerning the use of the premises. If a farm is rented and the lease is silent on the matter, the law presumes that the tenant will use it in a proper and husbandlike manner, like other exemplary farmers in that vicinity. He must cultivate the soil properly, preserve the timber, consume the hay as fodder to the cattle, if such be the custom, and keep the buildings and fences in repair. Manure in the ordinary course of farming belongs to the farm. To manure made in livery stables a different rule applies and the tenant can remove it. If the lease be of a mill it usually provides how it shall be run, if it be a house in the city and nothing is said about its use the law implies that there shall be no waste or destruction beyond the ordinary wear and tear. To use the doors for firewood is not uncommon with tenants, unless they are not burnable, though surely it is not a proper use of a leased house. A farm tenant has the right to take and use material found on the land suitable and needful to repair the buildings, fences, also dead and fallen timber for fuel. He cannot use shrubbery and ornamental trees for this purpose, nor cut standing timber for this purpose. He is entitled also to the way going crop, but must remove it during his lease. He cannot go on the land afterward and remove crops, unless he was prevented by some good reason from removing them while he was in possession. Can a lessee assign or sublet his lease? Of course this may be forbidden, and often is by the lessor, without his consent. If the lease is silent this can be done. If the lessee die, his executor or administrator can assign the remainder of his term. A lease may also be assigned if the lessee become insolvent, also by a new partnership created by the addition or retirement of a member. A transfer by the lessee of the whole or a part of his interest for a part of the time is a sublease and not an assignment. And whenever a sublease is made, the rights of the original lessor are not changed, nor does he recognize in any way the sub-tenant unless by agreement, nor has he any right of action against him. Of course there is nothing to prevent the parties from making any arrangement that may be agreeable to them. As the lessee may assign or sublet unless forbidden, so may the lessor part with his interest in the leased premises. When an assignment of it is made, the assignee may sue in his own name for rent accruing after the assignment. The lease of a private residence is not a warranty that it is reasonably fit for occupancy. Thus saith the law. Nor can a lessee, unless the lessor has misrepresented the healthfulness of the place, leave after the unwelcome discovery that it is not healthful. This seems to be rather harsh, but the rule is founded on the presumption that the lessee will examine the house before leasing and make proper inquiries about its healthfulness. By the common law the lessor was not required to make repairs. This has been changed in some states by statute. He is not required to make repairs needed and known to the tenant at the time of making his lease. Hallways, staircases, elevators, and the like that are used in common by the tenants of a building and are under the landlord's control, must be kept in repair by him. If he shall let a many storied building to several tenants, to each tenant a story, who have exclusive possession thereof, the lessor will not be liable to any lessee for the damage caused by another. If the landlord agrees to make repairs and keep the tenement in good condition, he is required to keep it in essentially the same condition as it was when the tenant took possession. Should the house or other building be destroyed by fire what then? An agreement to keep it in good repair imposes an obligation on the landlord's part to rebuild. But an agreement by the lessee to keep and leave it in good repair, does not require him to rebuild should it be destroyed by fire, or other cause without any fault of his own. If the lease provides that the insurance money, when the landlord has insured the premises, shall be applied to rebuild in the event of fire, he must regard his agreement, but if there be no such agreement, the tenant cannot compel his landlord to thus apply it. Should the lessor fail to fulfill his agreement to repair, the tenant is not excused from paying his rent, nor justified in leaving the premises. His remedy is to sue his landlord for the damages or injury to himself. And even if the premises be destroyed by fire the tenant must continue to pay his rent unless he has been wise enough to relieve himself by a proper clause, or unless some kindly statute has been passed relieving him on the happening of such an event. No oral stipulation, that the parties should make covering the effect of loss by fire or other contingency, would be binding if contrary to the terms of the written lease. As this is the highest form of the agreement, all verbal stipulations to the contrary must give way. A tenant can make no permanent alteration without his landlord's consent; and should he do so and injure the premises the landlord may recover damages, or, if such an alteration is feared or threatened, he may prevent it by obtaining an injunction from a court ordering the tenant not to make it and penalizing him should the order be disobeyed. When a lease is renewed, the new lease may be regarded in two different ways. It may be considered as the continuation of the lease, and thereby protecting all the interests created under it. And this will be the case whenever the old lease clearly shows that if a renewal should be made this was the intention of the parties. When nothing is said, a renewed lease is a surrender of the old one and different conditions may arise. It is important therefore when providing for the renewal of a lease to specify what the parties intend, whether a renewal or continuation on the old terms, or a renewal on other terms to be fixed at another time. Usually a lease specifies not only the amount of rent to be paid, but the time of payment. If silent, yearly rent is not due until the end of the year, quarterly rent at the end of the quarter, monthly rent at the end of the month. When a lessee is evicted or turned out of possession by his landlord, he is excused from paying rent. What, therefore, is an eviction? Any act by the landlord, or by his agent, impairing the worth of the premises to the tenant, for example, the destruction of a summer house, turning rooting pigs into the premises, the erection of a new building rendering the leased premises unfit for occupation. One of the curious cases is the lease of a distillery which could not be run because the landlord prevented the lessee from getting a license. In like manner if the landlord is to furnish heat and fails to do so, the tenant is justified in leaving. More generally, any act by the landlord whereby the leased premises are rendered unfit or impossible for the purpose intended, and affecting the health and comfort of the tenant, is an eviction. The eviction must be done by the lessor. An act done by a wrongdoer, not under the lessor's order, will not justify the lessee in quitting. Thus the darkening by an adjacent owner of the lessee's premises by erecting a structure, however injurious it might be, would not justify the lessee in quitting and refusing to pay his agreed rent. This is one of the risks taken when making the lease. Suppose a person occupying state land is evicted by the state, must he continue to pay rent? In Missouri the rent ceases, or if evicted of a part, he must pay rent on the remainder. In some states he must still continue to pay his rent and then demand compensation for his loss. Sometimes land is rented on shares, a very common way in the olden time. When this is done, the relation of landlord and tenant may be created, or perhaps a partnership relation. If the farmer is to do the work of a servant of the owner of the farm, receiving in return therefor, a specified part of the crops, the agreement is one of hiring and not a lease. If the farmer has rightful possession of the use of the land, then the payment of his rent in produce does not affect his relation as a tenant. The natural increase of stock leased with a farm belongs to the tenant, and a landlord cannot recover for the death of cattle in the tenant's possession, unless he can prove his tenant's negligence. And if a lessee should sell part of the stock contrary to the lease, the purchaser would be liable therefor. A landlord often leases separate parts of a building to different tenants, while the stairways and passages to them, though intended for their use, are still under his control. He thus invites the tenants and other persons having relations with them to use the approaches to obtain access to their rooms or apartments, and is accordingly liable when they are not kept in proper repair; the same as any owner of structures either expressly or impliedly invites persons to enter them. If therefore he should leave elevator shafts, or hatchways unguarded, he would be clearly liable for the consequences. So, too, should a mill owner have a defective bridge to his mill, forming part of a common way thereto, he would be liable for the consequences. The lessor is liable if he leaves his premises with a way or cellar entrance, or coal hole inadequately guarded at the time the lessee takes possession, but not if the guard or covering gets out of repair during the tenancy, or is temporarily left unguarded by the tenant or some third person. If the hole or other dangerous place is made without proper authority, it is considered a nuisance and the owner is liable for all injuries whether he has rented the premises or not. Who is liable for injuries caused to travelers by ice and snow on the pavement? This is a hard question to answer in a short space. If the ice or snow has accumulated by reason of a defective roof, then the landlord is liable because of its faulty construction. In some parts of the country it is most difficult to keep the walks safe in winter. Experience has led the parties to make stipulations defining and fixing their liability. Many states also have statutes and cities ordinances regulating the duties and liabilities of landlords and tenants. When a lease is about to expire a difficult question sometimes arises, what can the tenant take away with him? Of course he can remove all his furniture and the things that can be separated without injury to the premises, but during his tenancy, he may have added things possessing a more permanent nature, called fixtures, these he cannot remove. The courts have had great difficulty in deciding in some cases what these are. In a general way it may be said that whatever a tenant adds to the premises can be removed, while he is still in possession, without material injury to it, but he cannot remove anything afterwards. Suppose the tenant erects a building, can he remove it? One would not think of his building this for the benefit of his landlord. Suppose he had built it on a foundation from which it could be easily removed, a court would have no difficulty in deciding that it belonged to the tenant. Many cases have arisen about ranges and stoves. An ordinary stove of course can be removed; suppose it is affixed to the house in such a way that some portion of the wall will be detached by the removal, can this be done? Not if the wall will be badly injured. How badly? This is a question of fact to be answered by inquiry in every case. Among the fixtures that can be removed are hangings and tapestries, ornamental chimney pieces, wooden cornices, wainscoting affixed to the wall by screws and spikes, bells and bell wires, chandeliers, cisterns and sinks though fastened by nails and set into the floor, fire frame fixed in the fireplace, pipes for gas or water, grates removable without injury to the building, pumps, stoves, ranges and furnaces, gas ranges and water closet appliances, washtubs fastened to the house, gas fixtures and shelves. A greenhouse is not removable, nor gutters placed in the roof of a dwelling, nor a stairway, nor flowers, shrubs, or bushes planted for ornamental purposes. Chattels placed by a tenant on leased premises for the purpose of carrying on his business or trade are generally regarded as personal property. Annexations of this kind are called trade fixtures and the law is liberal in permitting their removal. Show cases, counters and shelves, engines, boilers, machinery, tanks in a distillery, a bowling alley, bar fixtures, even buildings are removable. The same liberal rule applies to agricultural implements. A tenant, therefore, if wishing to remove whatever he may have added, should be careful about their nature, or protect himself by an effective agreement.